Here is an interesting sports magazine made for the French Canadian sporting fan in 1972 featuring short-lived Dodger, Frank Robinson. It is called Sport Illustre, or Sports Illustrated. It's always interesting to see the massive personal collection of a former Major League star. It's even better when it's a former Dodger player who helped change the game. 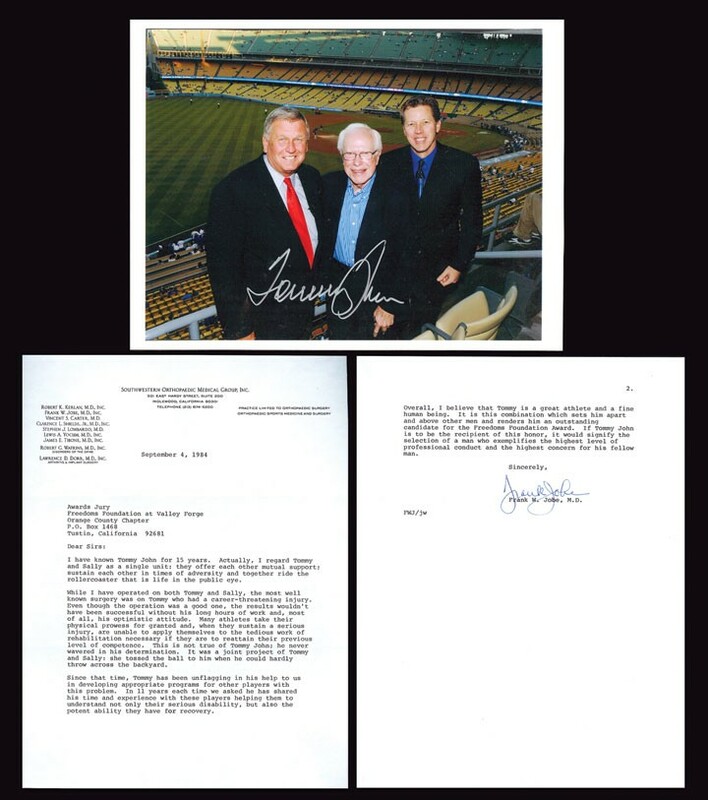 Sure, Tommy John is not a Hall of Famer, but he sure was a trailblazer. 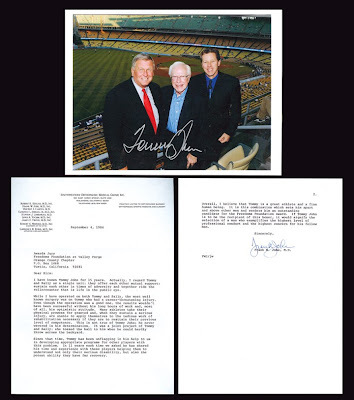 As you know, he became famous for being the first ballplayer to undergo a revolutionary surgical procedure- removing the injured ulnar collateral ligament from his arm and replaced it with a tendon from his right forearm- now known as Tommy John Surgery. Collectible Classics Auctions has over 100 lots from Tommy John's personal collection up for sale. Check out some of the items that caught my eye. 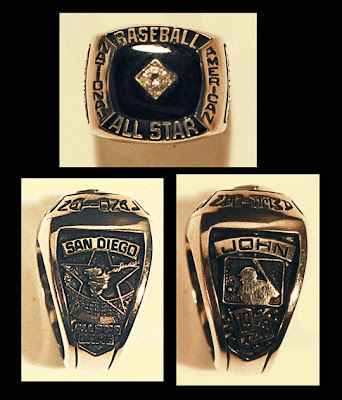 Below is his 1978 All-Star ring held in San Diego as a member of the Dodgers. 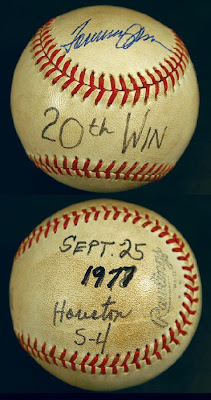 Here is a game-used ball from his 20th win in 1977. 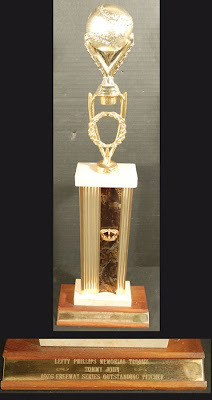 Presented by a Dodger fan club I've never heard of, the Go-Go-Dodgers Fan Club of Los Angeles," this trophy memorializes Tommy John as "the most improved player" in 1973. In the freeway series between the Dodgers and Angels they routinely gave awards to the best players during exhibition play. Here John won the Lefty Phillips Memorial Trophy as the "most outstanding pitcher" in the 1976 series.